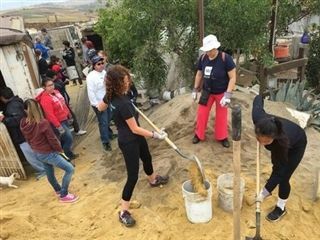 On April 30th, 14 Pacific Ridge students and faculty members traveled to Tijuana and Rosarito for a day of service. The group worked alongside students and teachers from CETYS Universidad, a high school and university in Tijuana, to construct a home for a family in need. 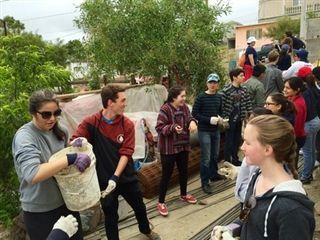 Students made new international friends, practiced language skills, and engaged in cross-cultural dialogue, all while helping lay the house's foundation. According to Alison Behr, Pacific Ridge's Director of Service Learning, the project was a success and, hopefully, the first of more weekend service projects to come!